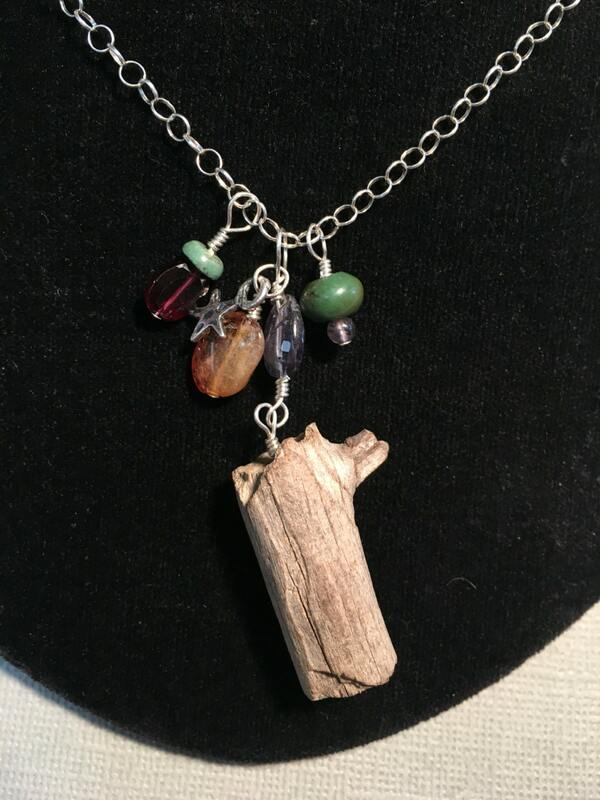 Necklace "What We May Find"
From my "Hiking Series". 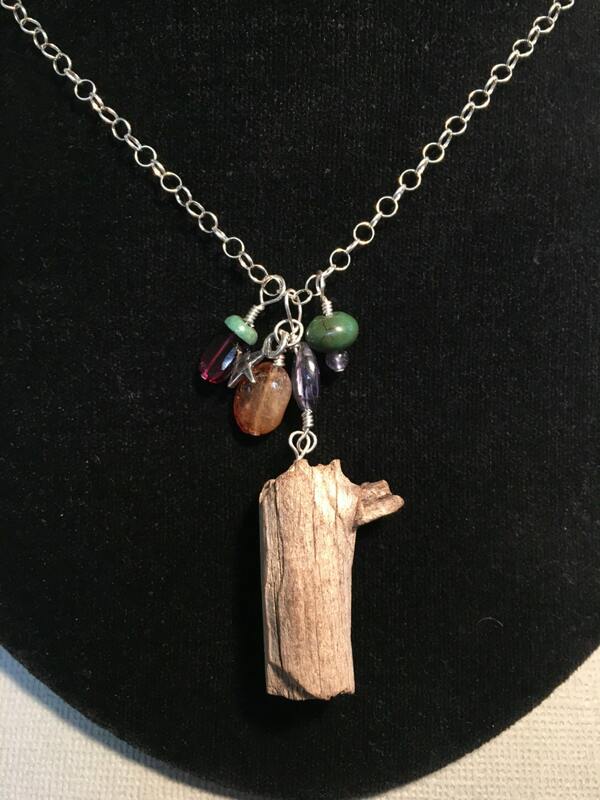 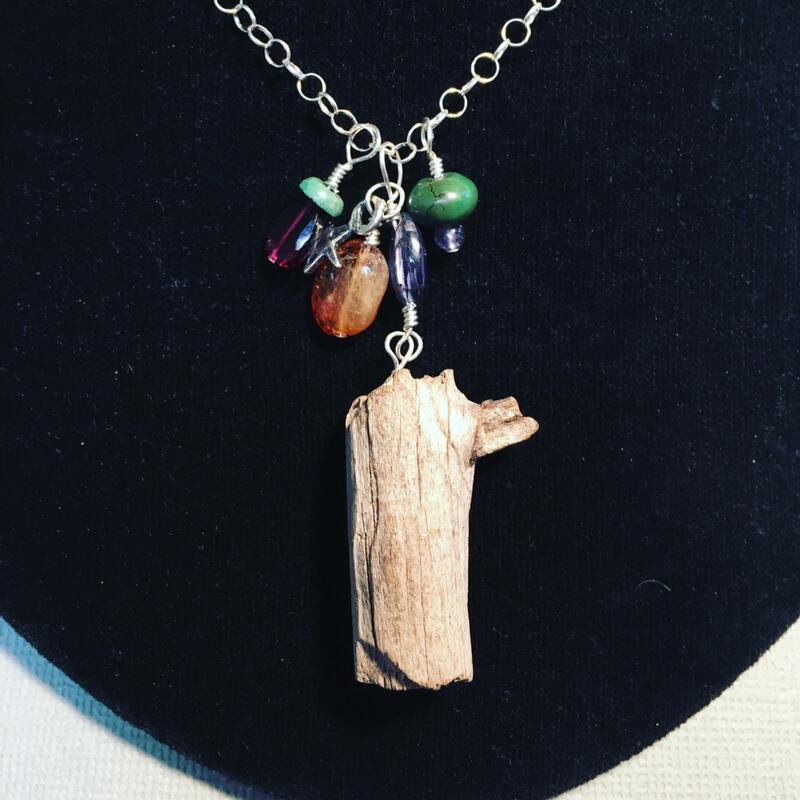 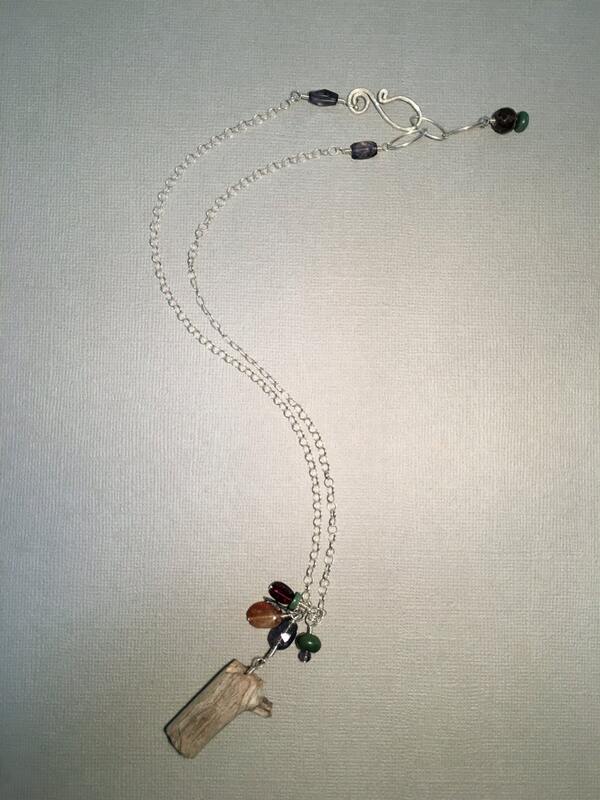 Handmade with a wooden centerpiece found on a hike in the forest, a little sterling silver star charm, iolite to help you find your way, turquoise for healing garnet for passion and vitality and citrine for prosperity all on sterling silver. 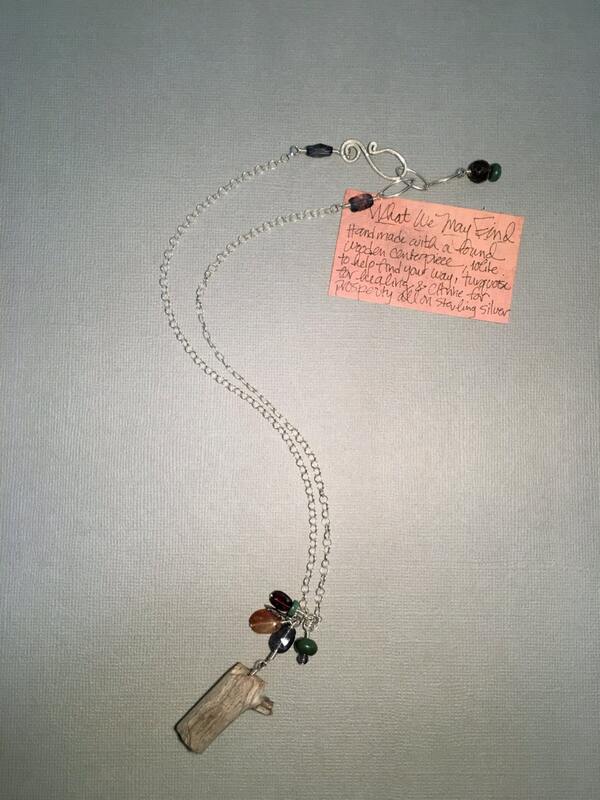 This necklace adjusts from 17 1/2 inches to 18 1/2 inches in length and comes with a handwritten description card and box.